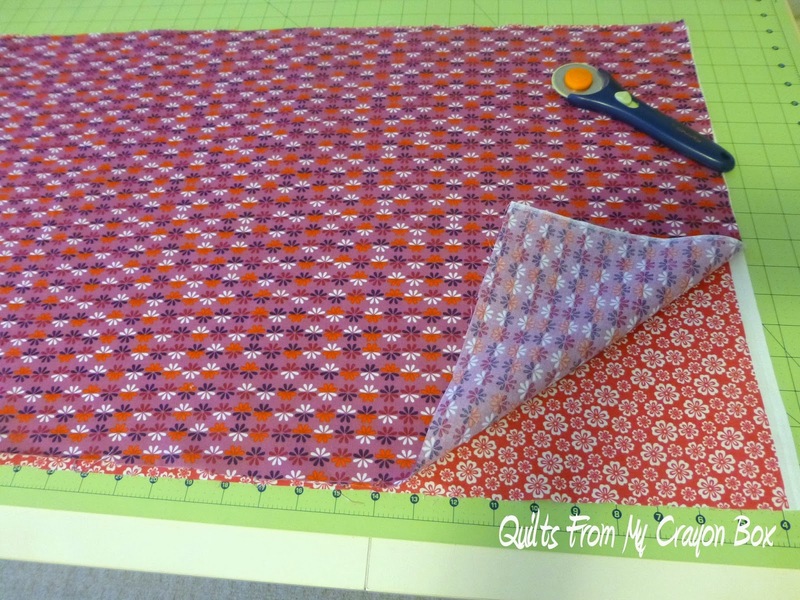 (1) 1/2 yard of fusible medium weight interfacing or a piece at least 18" x 23"
Start by layering your 2 pieces of fabric on top of each other. 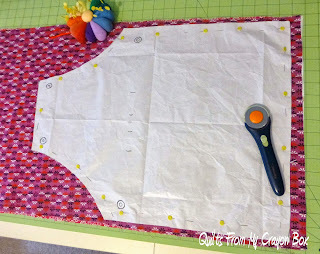 Place your pattern on top, pin in place and cut out both pieces at the same time. 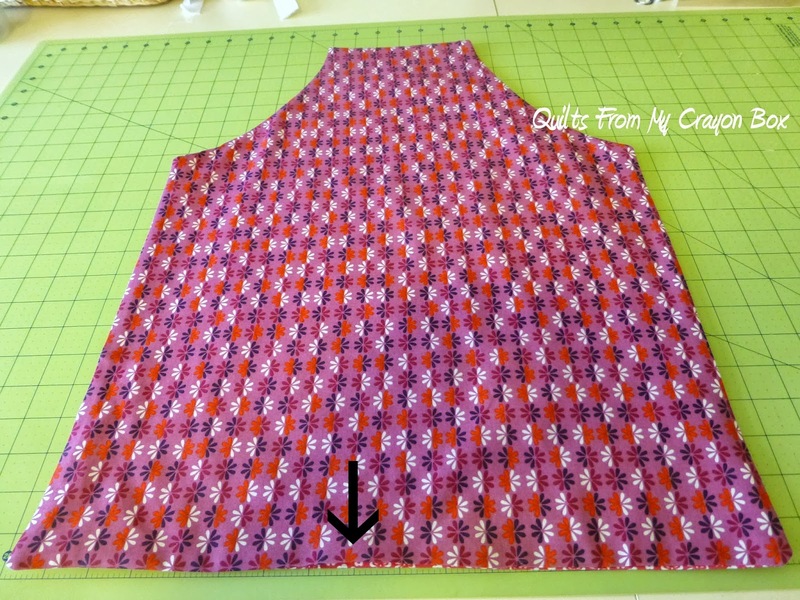 My BFF traced her pattern for me to use but you can easily make one yourself. 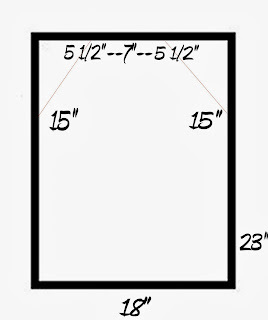 With a ruler and a large piece of craft paper, draw and cut out a rectangle 23" long x 18" wide. Make a mark 15" from the bottom on both sides. 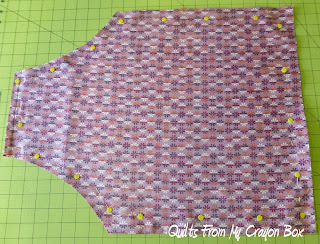 This will be the lower edge of the underarm area. 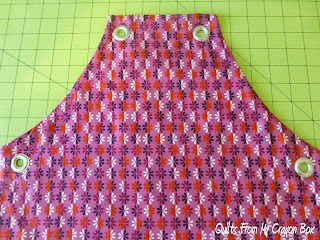 Then measure in 5 1/2" from each side on the top. 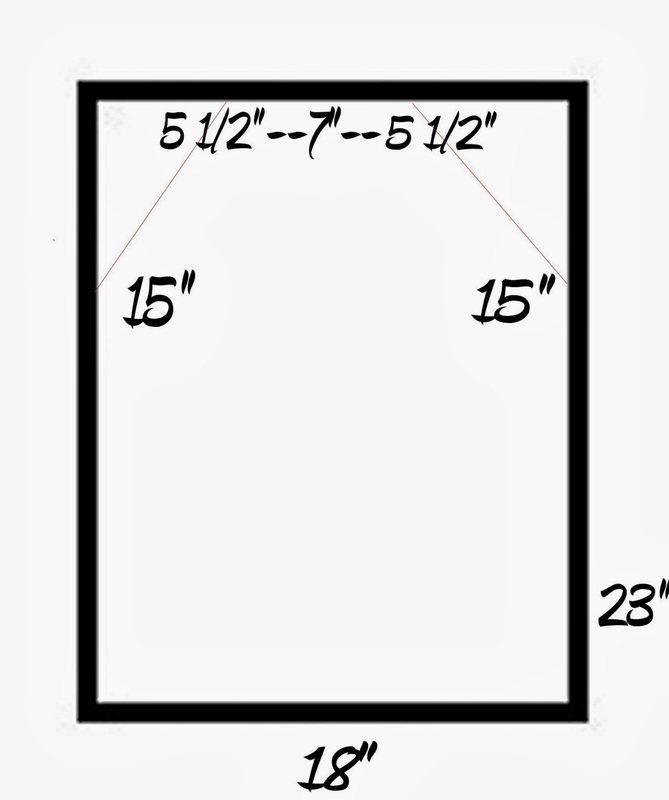 Draw a 7" line between the 2 marks. This will be the top section. Draw a gently curving arc from the outsides of the 7" line down to the marks at the 15" spot. My photo editing program wouldn't let me draw the line as a curve, but that is what you should do. 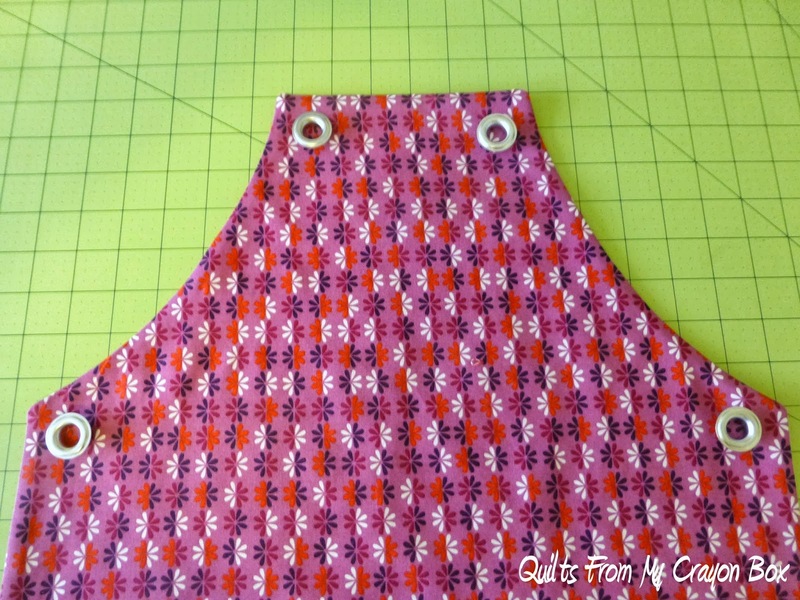 Cut out your pattern and use it to cut your apron pieces. 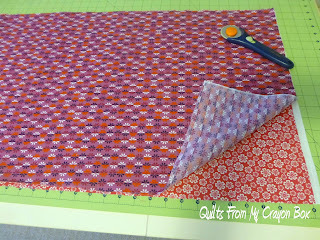 Using the same pattern, cut out a piece of medium weight interfacing. I used Pellon 931td. 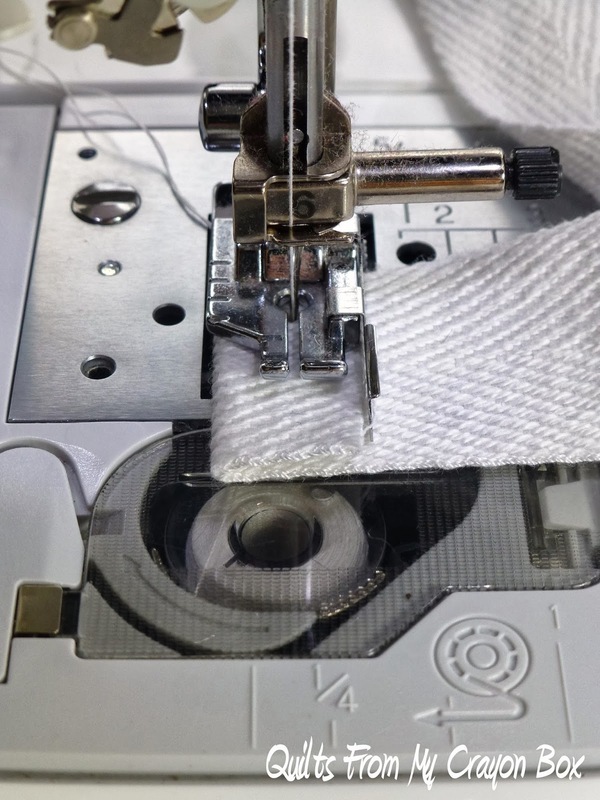 Following the manufacturer's instructions, fuse the interfacing to the wrong side of your backing fabric. With right sides together, layer your front and back pieces and pin. 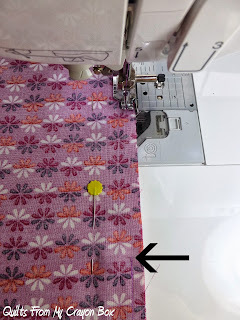 Starting at about 1/3 from the side edge of the bottom, start stitching the 2 pieces together using a 1/4" seam, making sure to back stitch at the beginning and end of each area. Once you get back around to the bottom, stop your stitching 4-5 inches from where you began. 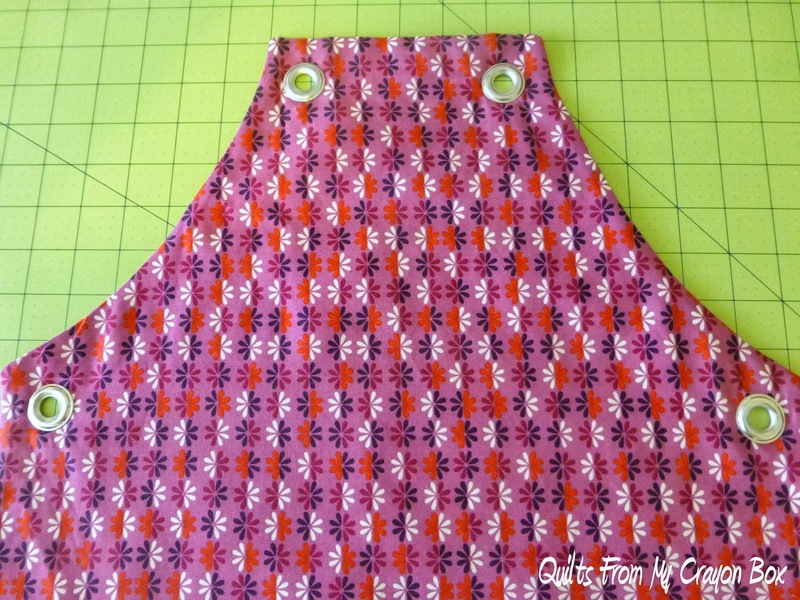 You will use this opening to turn your apron right sides out. 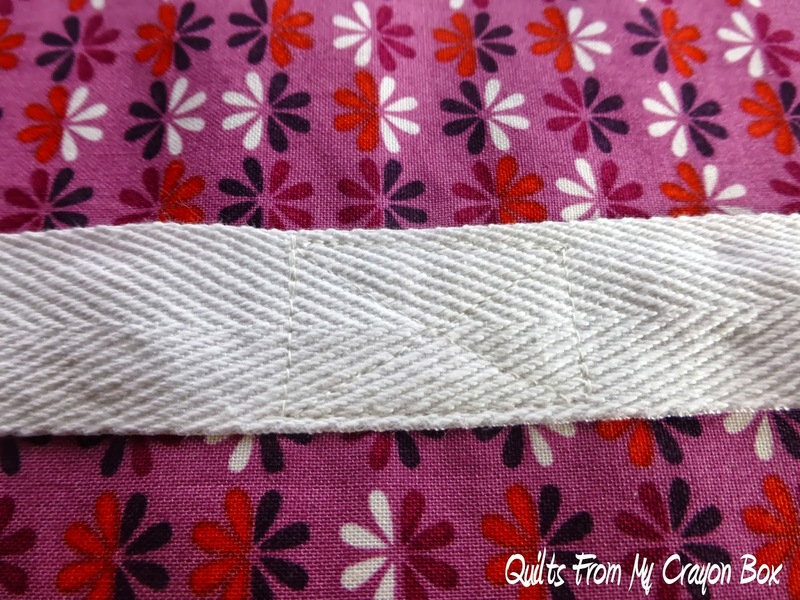 Hand stitch closed the opening at the bottom. 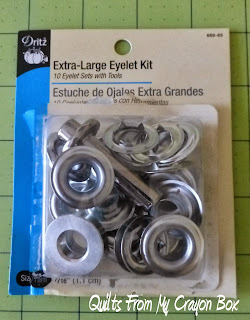 Next open your pack of eyelets and take out 4 eyelets, 4 washers, the anvil and the setter. Determine the placement of your eyelets. Draw a circle on the inside of the eyelet shaft in each spot. 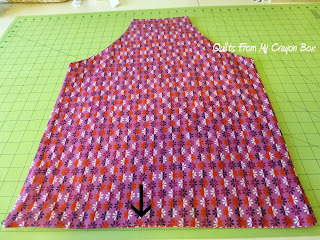 Cut out the fabric along the marked line. Using my embroidery scissors, I poked a hole through and then followed the line. 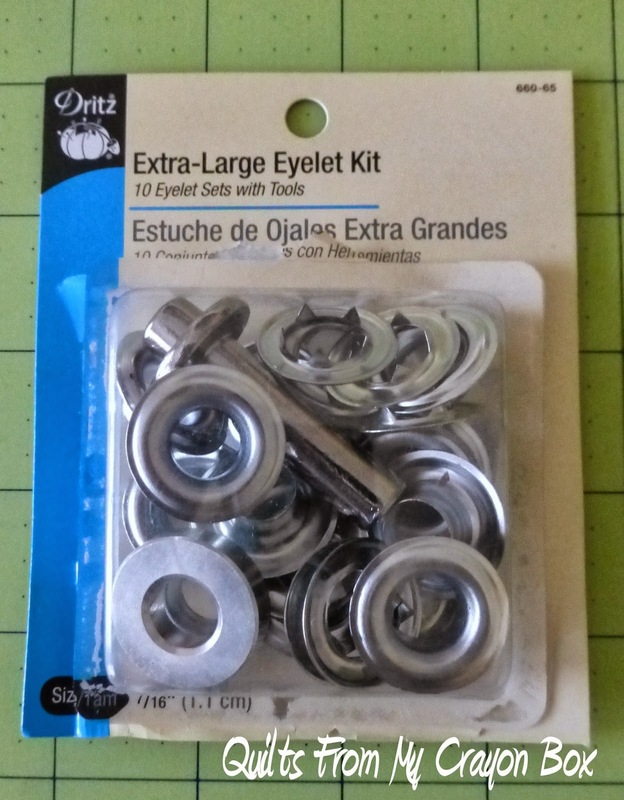 Don't worry that the holes aren't big enough for the eyelets. 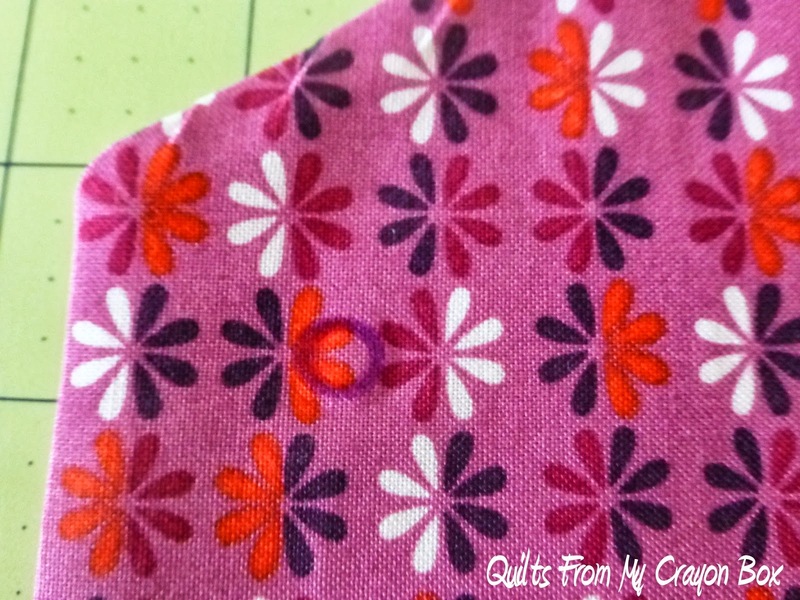 You'll work the eyelet shaft in and the fabric will be nice and tight around it. Following the instructions on the back of the package, secure the eyelets in place. Hint: at first I tried to do this on my cutting table with a block of wood under the anvil but that only worked partially. I then took everything to the basement and did it on the concrete floor and had much better success. 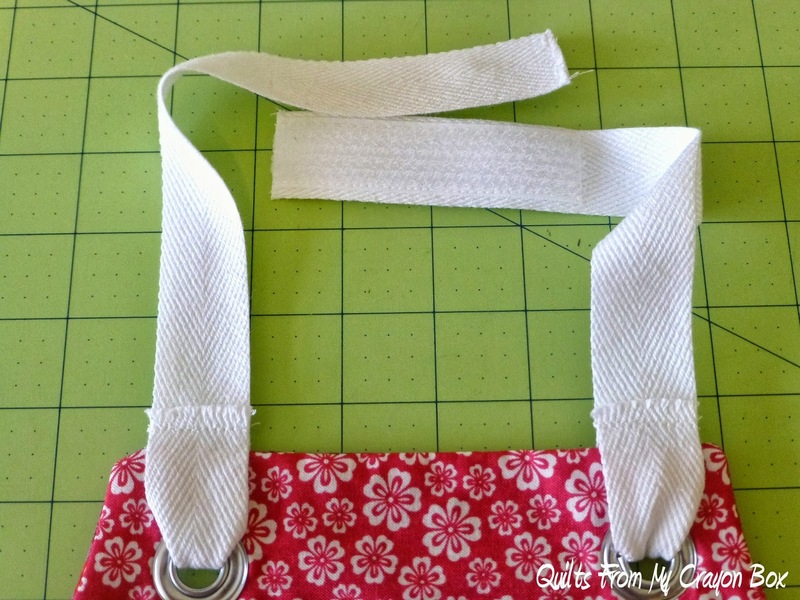 The eyelets closed together perfectly. You'll have to pry the setter out each time but it isn't difficult. 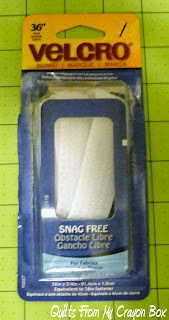 Next cut (1) 3 1/2" piece of velcro. 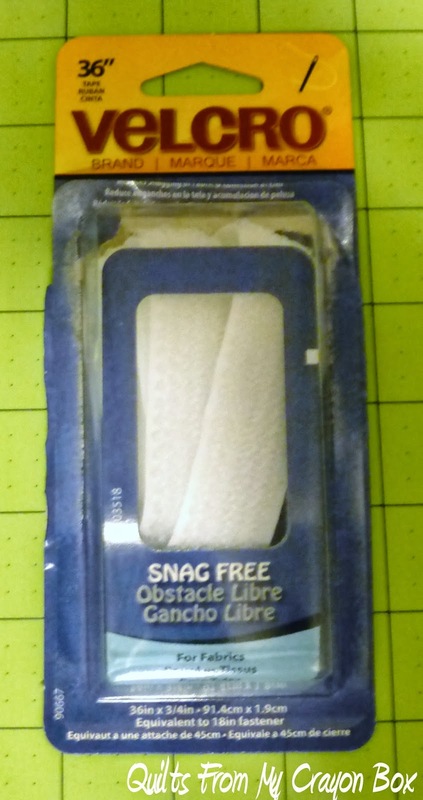 I used the snag free version to hopefully help keep hair from getting tangled and pulled. 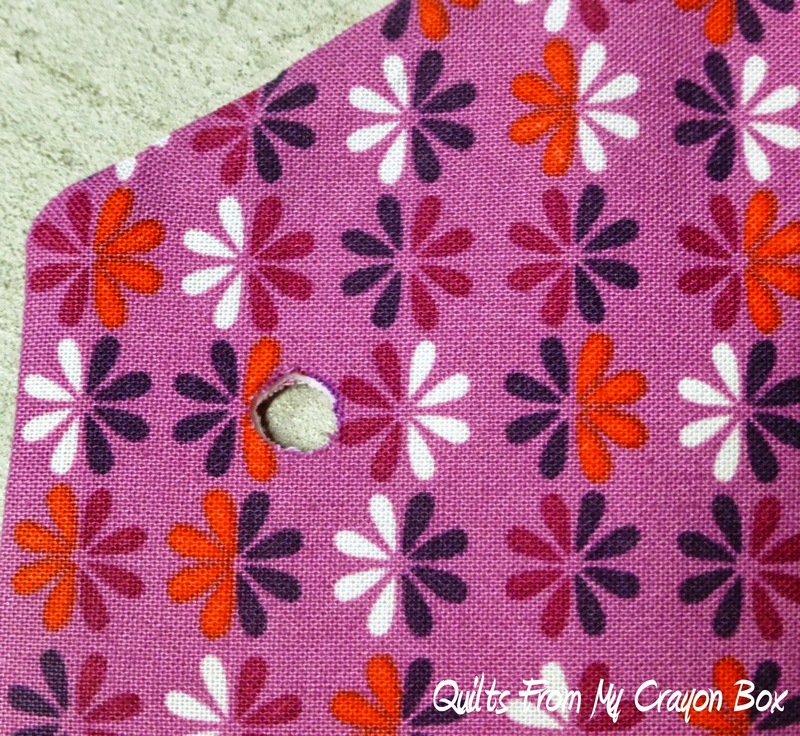 Cut (2) 12" pieces of twill tape and sew one side of the velcro to each piece of twill tape. Making sure you have the velcro sides lined up properly to attach together (one should be face up and one should be face down), thread the twill tape through the top eyelets and sew the ends to itself to secure. 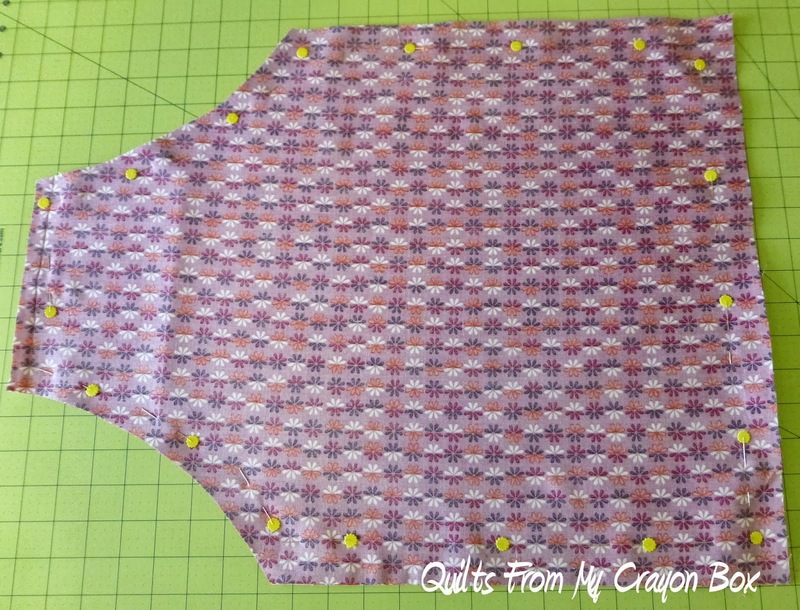 Next cut a 56" piece of twill tape for the middle tie. 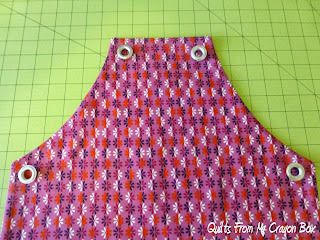 Find the center of the twill tape and the center of the apron and pin in place. 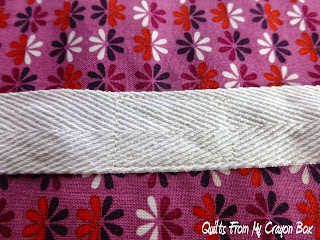 Sew down the center only of the twill tape using whatever pattern you wish. I did an X inside a square. 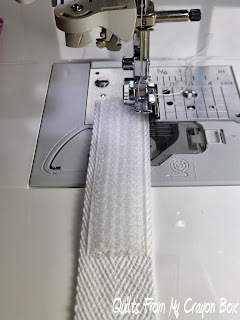 Lastly sew down both end of the ties to keep them from unraveling and you are done. 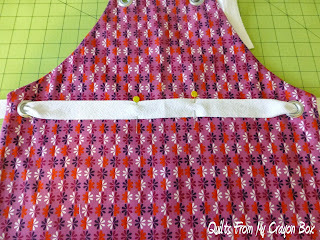 One cute kid's apron is all finished and ready to be covered with paint and markers (or flour and sugar if it will be used for a cooking assistant). Here is my Sunshine modeling her new apron. With the way the wait tie attaches with this apron, I really like that it totally goes around her waist comfortably for her. Jammer is modeling his apron, with a goofy smile of course. 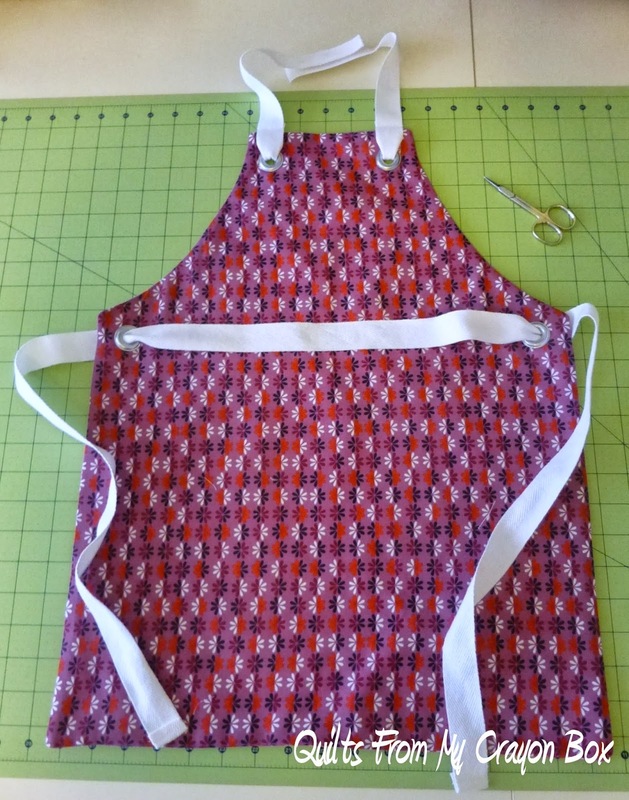 I used the exact same pattern for both aprons so you can see here how they fit based on my kids' height. Jammer is 48" tall and Sunshine is a peanut at 38" tall. 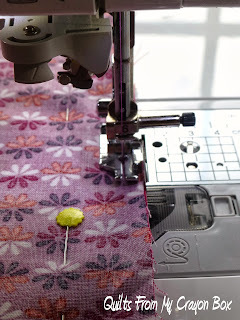 You can make your apron shorter or longer by adjusting the length of your pattern. 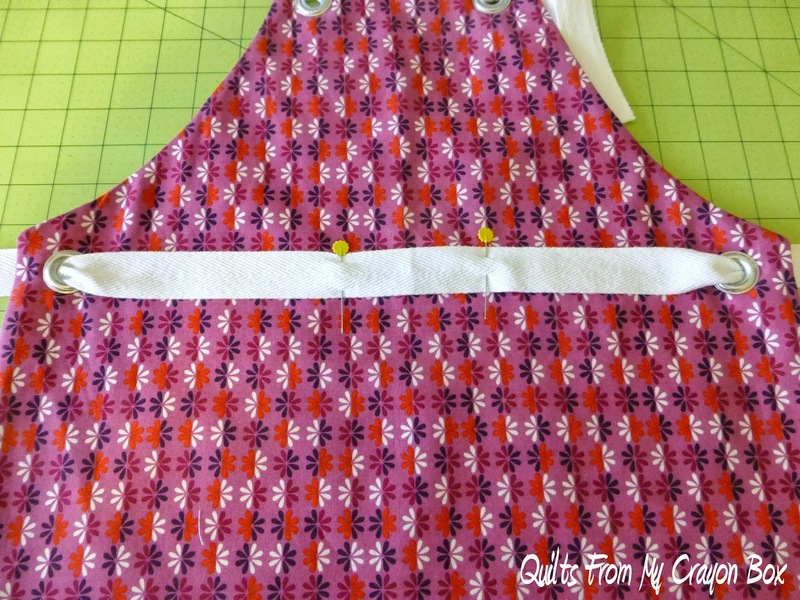 The kids love their aprons and couldn't wait to take them to school today. I'm glad that they actually want to use them during art class. 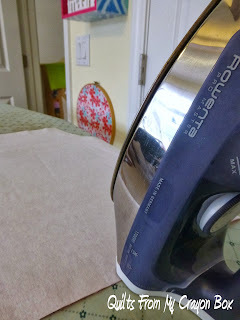 Hopefully I'll have a lot less stains to remove from their clothes this year. Very sweet. Thanks for the tutorial.